Spend less time managing voicemails and more time on conversations. Telzio's flexible voicemail routing system lets you route incoming messages anywhere, and access them all online. 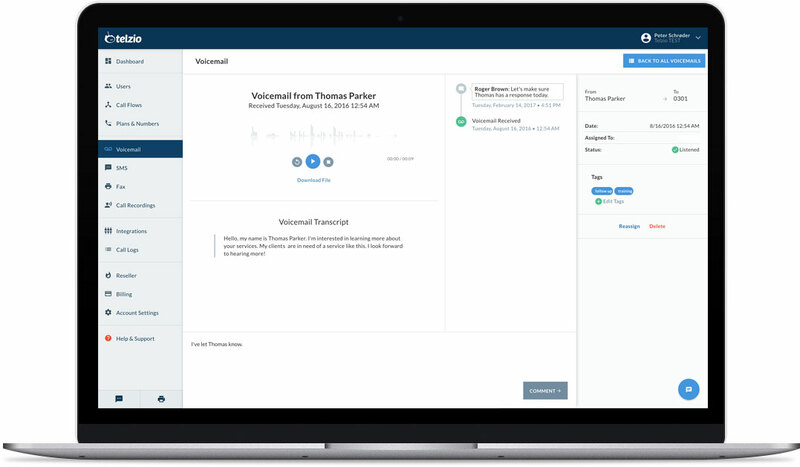 Telzio transcribes your voicemails so you can easily view them on your phone or computer. 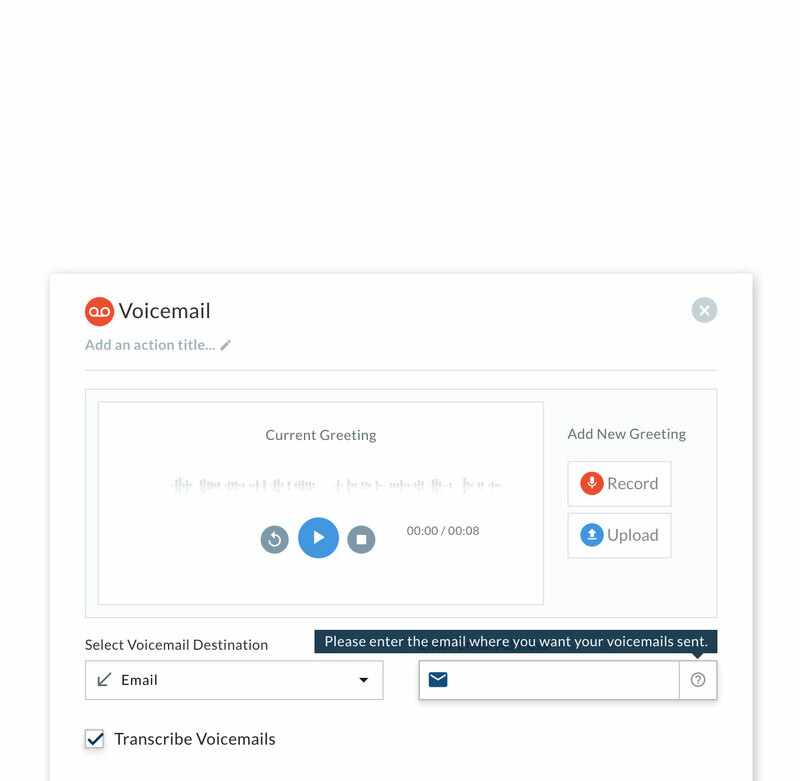 Customize your voicemail services and enable your employees to manage business voicemail on their mobile devices separate from their personal voicemail. What can I do with Voicemail? Forward voicemails to another user. Enable users to collaborate on company voicemail. Record custom greetings for users and groups. Create shared voicemail for teams. Enable users to manage voicemail across devices. Voicemail is useful when your business is closed or when an employee is off hours. In addition to checking voicemail on your phone, you can also receive them by email where you can listen to them and view them as text. One business can have multiple voicemail inboxes - one for the main company line, one for each department, and one for each employee. For example, a professional office might have their phone lines close at 6pm, when callers would be directed to a voicemail. You can enable voicemail transcription and send the message to your email. This way you can monitor important calls and save time on listening to messages. How many voicemail inboxes can I add? You can create an unlimited number of voicemail inboxes with your Telzio service. User can check voicemail on their desk and mobile phones, and by logging into our website where they can manage and collaborate on company voicemails with other users. 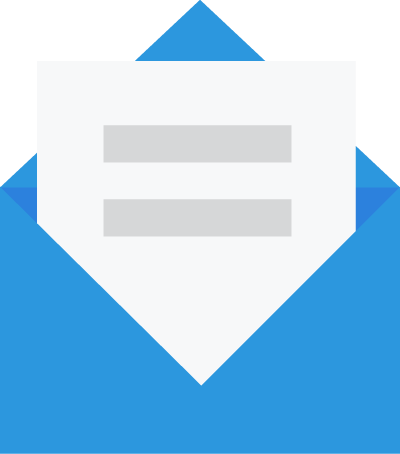 Telzio can email voicemails to you as a link, audio file, and transcribed message.